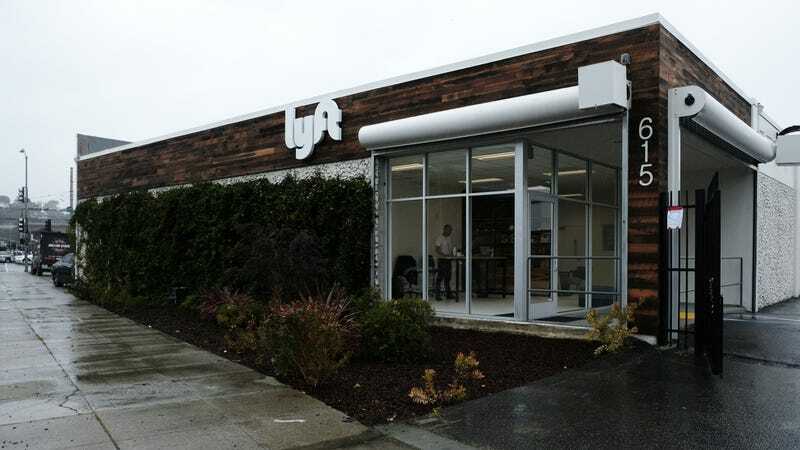 In an effort to retain its contractor labor force, as well as expand its core business, Lyft has plans to open repair garages to service its drivers’ cars. The first of these repair centers opened today in San Fransisco—a company blog post does not state where exactly—with 34 more locations planned by the end of year. The effort is spearheaded by COO Jon McNeil, who founded the Sterling Collision Centers chain and acted as president of global sales at Tesla. Lyft also plans to roll out a mobile service van program, starting in the Bay Area next month, though details are scarce on what role those might play or what sorts of services they could offer. At the forefront of what’s being dubbed “Lyft Driver Services” is cost and efficiency, with the company touting its service centers providing “up to 50% [off] on common repairs [...] with a goal of 50% faster service.” At least at this initial location, a wash, oil change, and tire rotation will run $70, with hourly labor charges set at $95. Given that Lyft already runs an extensive vehicle rental program, it makes sense for the business to encompass repairs to those vehicles, too. And despite announcing a potentially costly new arm to its business in the middle of its IPO roadshow, Lyft’s initial public offering remains oversubscribed and its stock is likely to be priced above its previous estimate of $62 to $68 per share, according to the Wall Street Journal. In a less novel move, Lyft also announced it would begin offering online banking and debit cards to drivers—something its chief rival Uber has done for years. Cheap car repairs, however, are unlikely to placate the growing contingent of gig workers angry about falling wages amid gangbusters IPOs for two of the biggest platforms in the field. (Uber hasn’t filed its IPO yet but is expected to do so this year.) Yesterday, Lyft drivers in San Fransisco marched on the Omni Hotel, where the company was holding financial meetings, while Uber drivers in LA gathered en masse outside one of the company’s Greenlight hubs to protest a 25-percent pay cut.